The quickest, most powerful and most track-focused – yet road legal – Sports Series McLaren will make its dynamic world debut tomorrow (July 12) at the 2018 Goodwood Festival of Speed. The arrival of the new 600LT, which is built to excel on roads and race circuits alike, marks both the beginning of the next chapter in the McLaren ‘Longtail’ (LT) story and the setting of a new benchmark for super-sportscar performance. 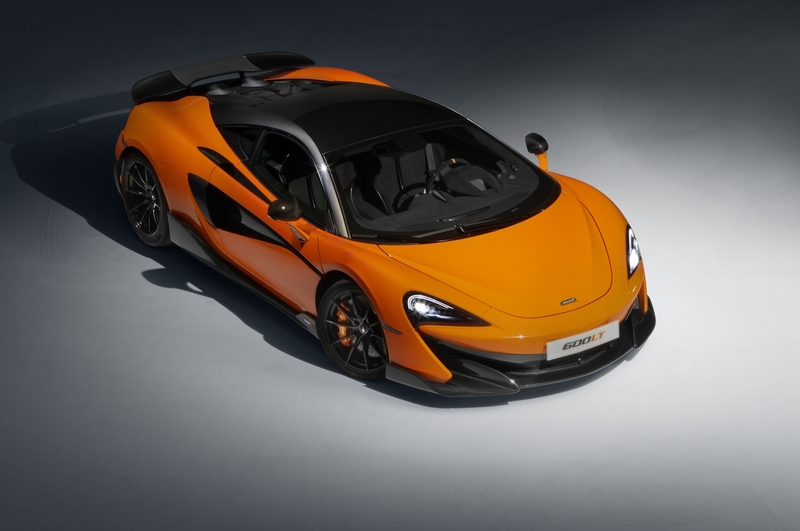 The new McLaren 600LT epitomises the McLaren philosophy of producing lightweight super-sportscars that deliver extreme performance and are exceptionally rewarding to drive. 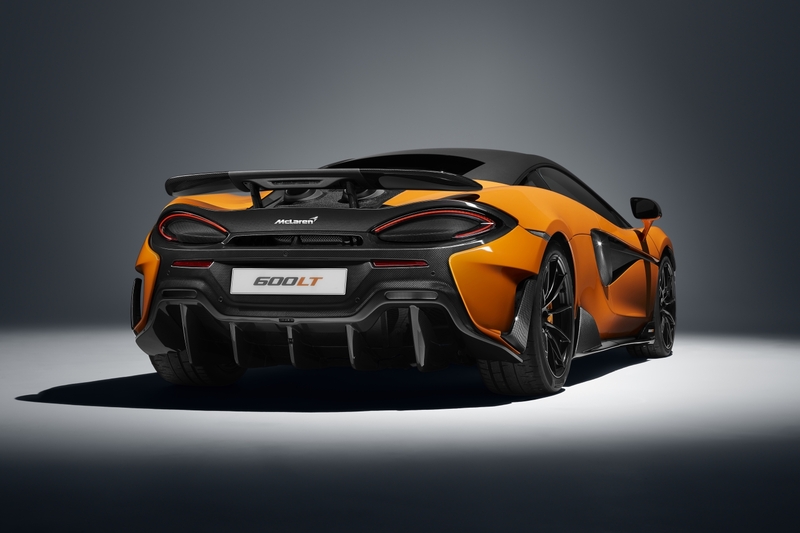 With the engine management system of the 3.8-litre twin-turbocharged V8 recalibrated and less back pressure from a top-exit exhaust system that is even shorter and more extreme than that of the McLaren Senna allowing the engine to breathe more freely because of, the 600LT can call on peak power of 600PS (592bhp) at 7,500rpm and a maximum torque output of 620Nm (457lb ft) at 5,500-6,500rpm. These outputs deliver astonishing levels of performance: 0-100km/h (62mph) takes just 2.9 seconds, matching the acceleration of the revered McLaren 675LT Super Series model. 0-200km/h (124mph) is achieved in a remarkable 8.2 seconds and the 600LT can continue gathering speed to a top speed of 328km/h (204mph). The adoption of the braking system from the McLaren Super Series, which features lightweight aluminium calipers and stiffer carbon ceramic discs, reduces weight by 4kg, working in conjunction with an all-new brake booster developed using learnings from the McLaren Senna, the result is incredibly responsive and progressive pedal feel during braking and a 200km/h (124mph) to standstill distance of 117m – just 1m more than a McLaren P1™. Bespoke P Zero™ Trofeo R tyres – developed with McLaren Technical Partner, Pirelli – feature for the first time on a Sports Series model and this unique track-focused tyre is a crucial element in the enhanced dynamic abilities of the McLaren 600LT. Tuned to deliver the immediacy and steering feel for which McLaren is renowned, as well as excellent rear axle stability, the ultra-high-performance tyre features a softer sidewall structure than is usual to improve compliance and so grip levels by ensuring the contact patch with the ground is maintained, even on less-than-perfect surfaces. By contrast, the belt construction of the Trofeo R tyre is stiffer than on any previous Sports Series, to enhance lateral acceleration and improve cornering ability. The cockpit of the McLaren 600LT exemplifies both weight reduction and a driver-focused environment. Lightweight Alcantara® trim material is used extensively throughout and the absence of carpet in the driver and passenger footwells and beneath the seats saves 5.7kg, while also exposing the carbon fibre beauty of the MonoCell II chassis construction. The glovebox has been removed and the door pockets replaced with lightweight nets; air-conditioning, satellite navigation and an audio system are all available as no-cost options, not being fitted as standard. Carbon fibre Racing Seats, first seen on the McLaren P1™ and subsequently used in the McLaren 675LT, are standard-fit and save a remarkable 21kg. Production of the 600LT Coupé will begin in October 2018 and last for around 12 months, with build slots scheduled around existing Sports and Super Series models, as well as the sell-out Senna, Senna GTR and BP23. Availability will be strictly limited, the carbon fibre body panels that require specialist tooling just one of the reasons that the new ‘Longtail’ will be rarer than its Sports Series brethren. Available to order now from McLaren retailers – subject to availability.